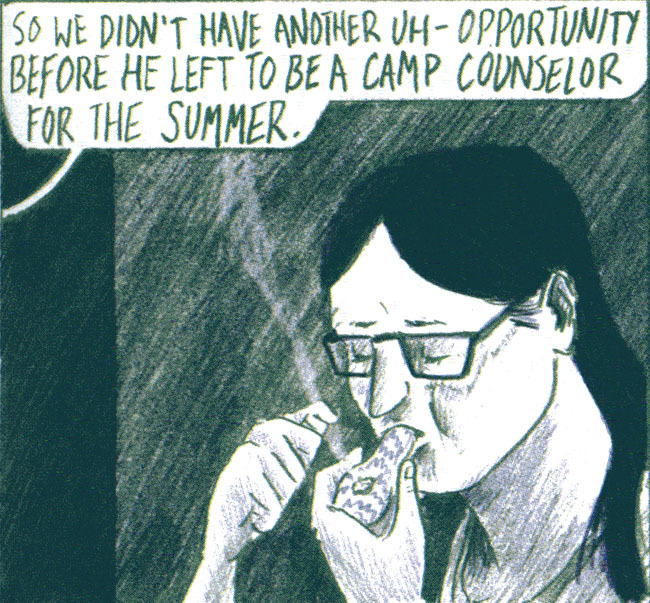 Where are contemporary comics headed today? Is it best to remain underground or to be viewed as respectable? 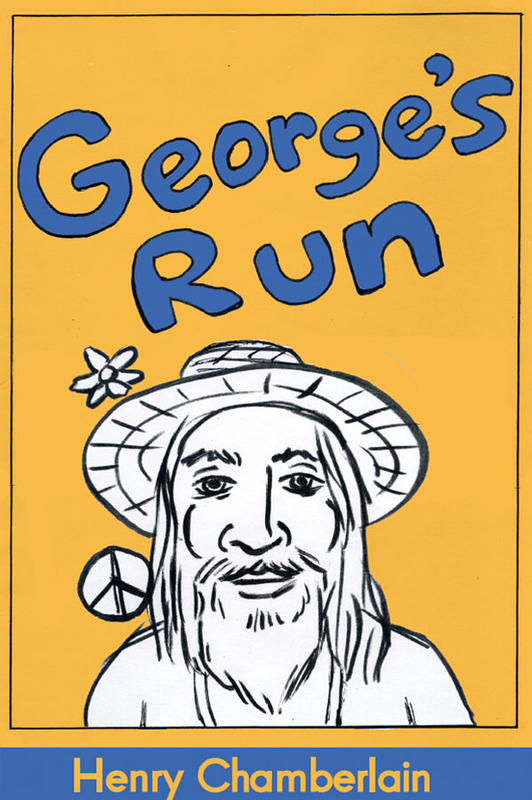 For legendary cartoonist Ben Katchor, comics that interest him need to be unusual. 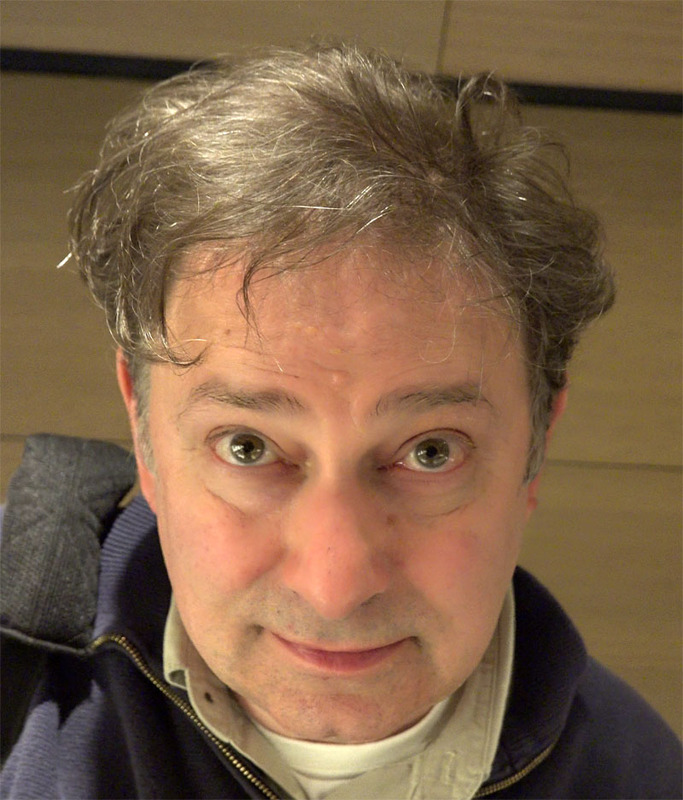 Ben Katchor is known for his critically-acclaimed comic strip, “Julius Knipl, Real Estate Photographer.” Mr. Katchor is the winner of a Guggenheim Fellowship and a MacArthur Fellowship. He is Associate Professor of Illustration at The New School-Parsons School of Design. Comics can be discussed in any number of ways. You can try to include everything from comic strips to superhero comics to the latest graphic novels. 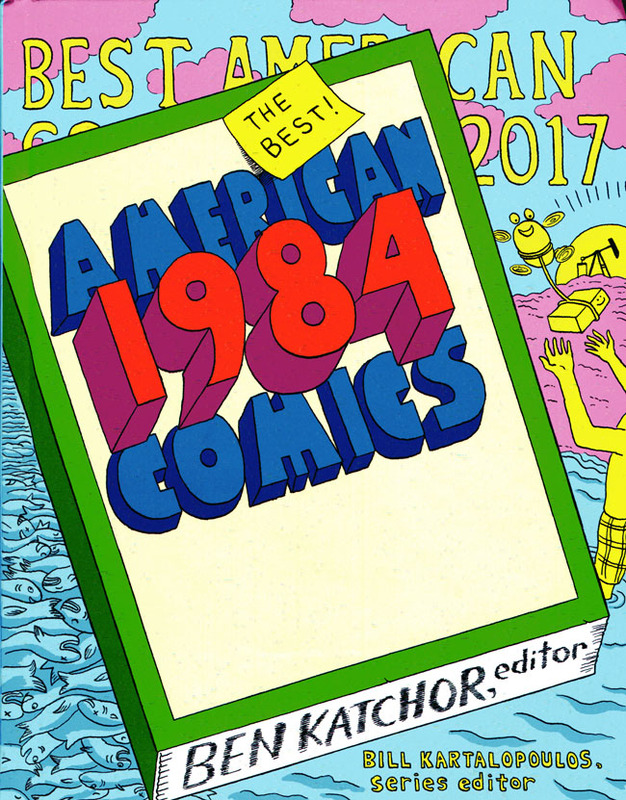 What the annual anthology Best American Comics does is focus on comics that rise to the level of art that are already coming from some sort of artistic background: boutique publishers, arthouse anthologies, cultural websites, self-published work, and any other art outlets including galleries. 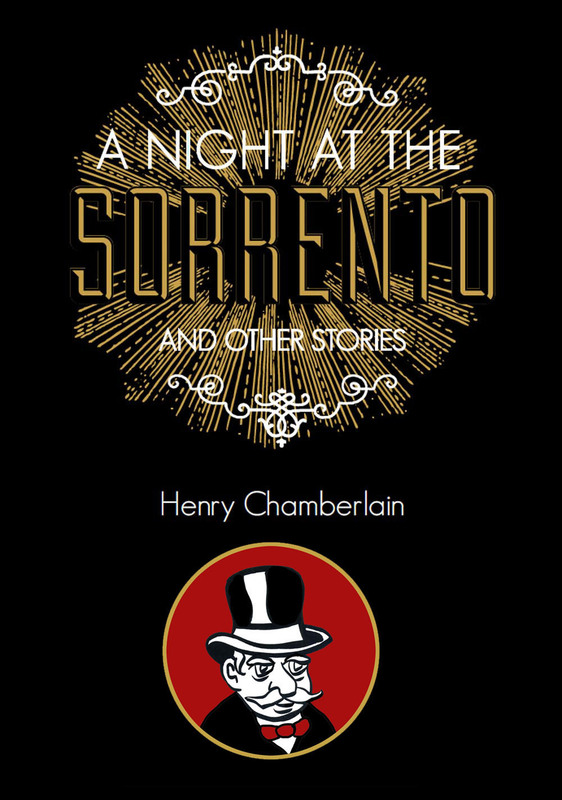 The Best American series began with a short stories yearly anthology in 1915. The addition of an annual focusing on comics began in 2006. This was perfect timing as consensus in varied circles had reached a fever pitch that American comics had reached the level of art. And so, here we are with another long look at the comics medium with The Best American Comics 2017. When you focus solely on alt-comics (alternative as opposed to mainstream) as representing all the best American comics, that creates an interesting challenge. But, all in all, it ends up being very helpful in sorting out where comics are headed as an art form. It is essential to avoid pitfalls: giving a pass to work that is weak from being self-indulgent, ill-conceived, poorly crafted, or heavy-handed. But we’re looking for the best, right? Comics cannot be held by the hand and protected. It is made of stronger stuff. To try to shield its creators from the harsh realities of life only hurts the very thing you may think, it your position of authority, you are helping. You wouldn’t provide a painter with free room and board and simply expect masterpieces in return, right? That’s not how life works. Anyway, the best work will win out in the end and the best work has got to have some kind of “wow factor.” This collection has plenty of that. First, be sure to read the introductions by series editor Bill Kartalopoulos and guest editor Ben Katchor, a master cartoonist. To be fair, this is a very dry nutshell of what they have to say but, basically: Kartalopoulos advocates for artist-cartoonists to not hold back at all since their odds of fame and fortune are nil; Katchor, in a series of hilarious satirical pieces, reveals a sensitivity to the marginalized role of cartoonists. To be egalitarian and invite everyone to try their hand at creating comics does, as I suggest, create interesting challenges. Another example: you would not assemble an annual collection of the best American illustration and really spend too much time considering nonprofessionals–nor would you concern yourself over the status of a person in the illustration profession. So, what makes the artist-cartoonist (plus those who aspire to be) so special? You could say that is what makes this book so special since it devotes itself, as well as logic and space can accommodate, to the current state of independent American comics. We begin with a piece by Gary Panter. Here is someone who, by all rights, openly defies any professional standards to the comics profession. Panter’s work is messy: from the clumsy depiction of figures and composition down to the often hard to read hand-drawn lettering. A lot of people do not like a “clumsy” work. However, a lot of people who attempt such a style, don’t nearly come close to the spark and originality in Panter’s work. In “Frieze, No. 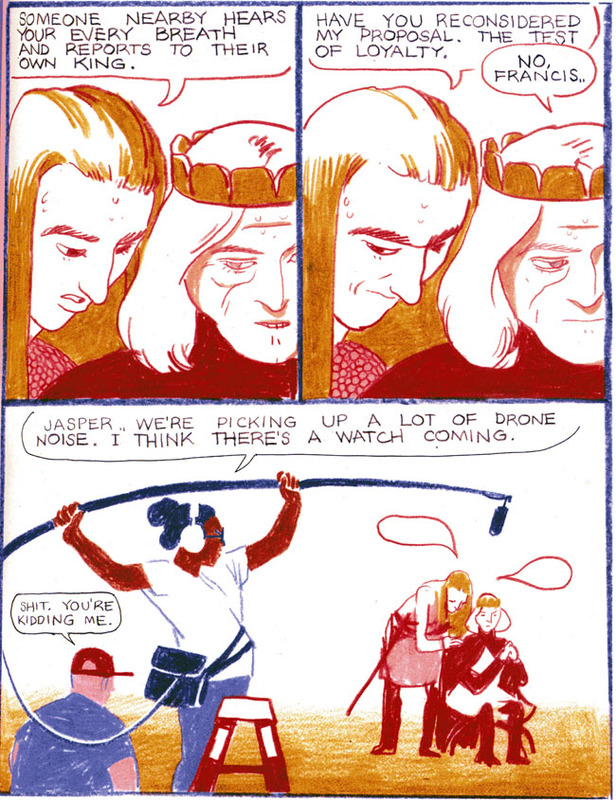 181,” Panter has his characters prattle about the current state of art. It’s funny, unique, and totally Panter. In comparison, the next work in this collection is by Dan Zettwoch. 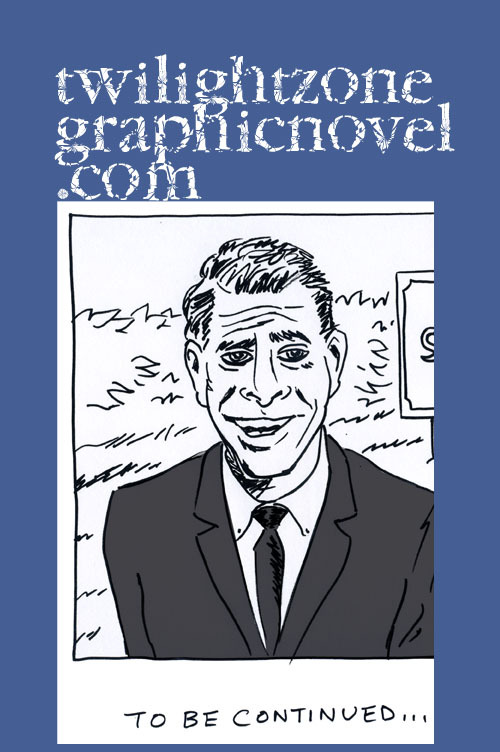 Now, here you have a cartoonist who has mastered all those aspects of traditional cartooning: crisp and dynamic depiction of figures and composition right down to intricate highly-polished/professional-grade use of hand-drawn lettering. In his case, if he tried to be too casual and expressive, his creations might become too hard to follow. So, there you have two examples of contemporary indie comics, among a myriad of possibilities. If I were to point to only one item in this collection, I would be satisfied with the excerpt from “John Wilcock, New York Years, 1954-1971,” by Ethan Persoff and Scott Marshall. I believe this satisfies the desire of Kartalopoulos to highlight work that pushes boundaries; and it also satisfies a similar inclination in Katchor, to seek out offbeat and unusual work. I find this excerpt especially timely as it focuses on the origins of The Village Voice, which recently had to give up its print edition. In this piece, we follow the misadventures of writer John Wilcock, who actually succeeds by not only skill and talent but by a formidable force of will. He finds himself at the right time and place as one of the founders of the Voice, first published in October of 1955. Wilcock manages to hold his own with tough guy co-founder Norman Mailer. 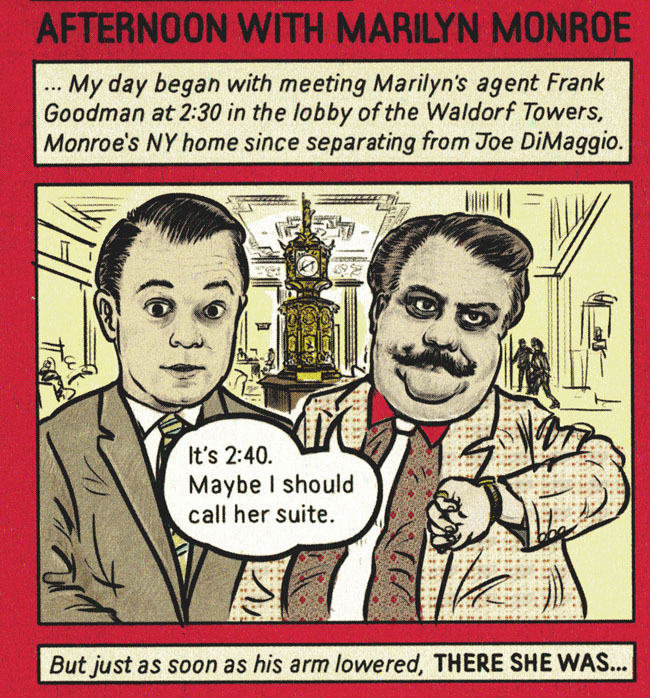 And, among the dazzling people he gets to interview is none other than Marilyn Monroe. This is a very lively work of comics. You can follow it as a webcomic right here. There is definitely something to be said for being completely inclusive about the act of creating comics. We have already reached the point where you can just as easily consider taking a cooking class, or a yoga workshop, or a comics-making workshop. Hey, you can also include improv comedy in that self-improvement list. Do comedians feel that their profession is somehow diminished by having so many amateurs getting into (or attempting to get into) the same game? Nope. Same goes for a whole bunch of other people: writers, actors, and various other artists. Fortunately, you can’t learn some of the basics of becoming a doctor on a lazy Sunday afternoon. The point is that the standards for comics are there and some people will do comics for a certain time while others will be compelled to delve deeper. 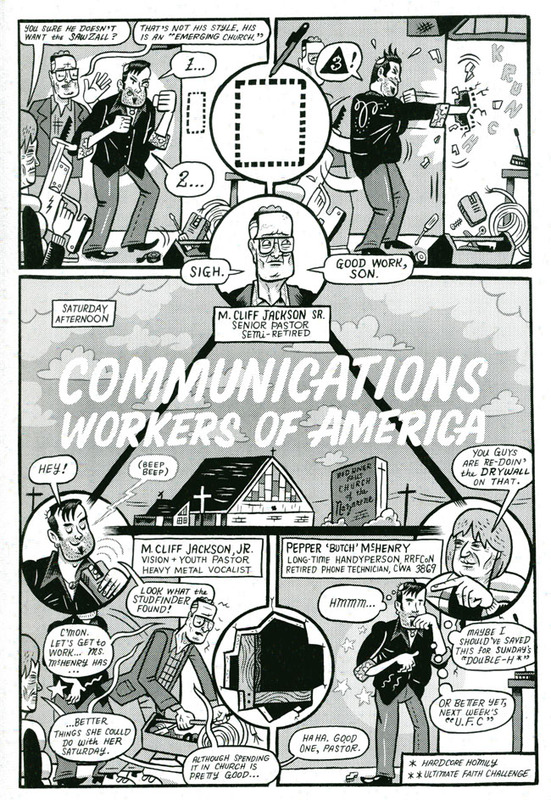 What a book like Best American Comics does is provide both the practitioner and the reader with a wonderful roadmap and source of inspiration–and, by the way, entertainment and enrichment. “The Best American Comics 2017,” editor Ben Katchor; series editor, Bill Kartalopoulos, is a 400-page hardcover, available as of October 3rd, published by Houghton Mifflin Harcourt.